It's horribly cold. So I won't make you go outside this week. Instead, for this week's Shooting Challenge, we're going to call attention to something all around us that we take for granted: Texture. Take a photo with texture as the subject. In fact, try to fill the whole frame with one texture. Rather than show us a textured object, make the texture the object. Make sense? To really get into a texture, you'll need sharp focus. And to maximize focus, if you're using an dSLR, you'll want to close down your aperture (or choose a higher f number, like F8). At the same time, you'll slow down your shutter speed to compensate, allowing in more light. As a result, you'll have more of the image in focus, and you'll get enough light through your lens to make the image possible. Here's a great tutorial on that stuff. 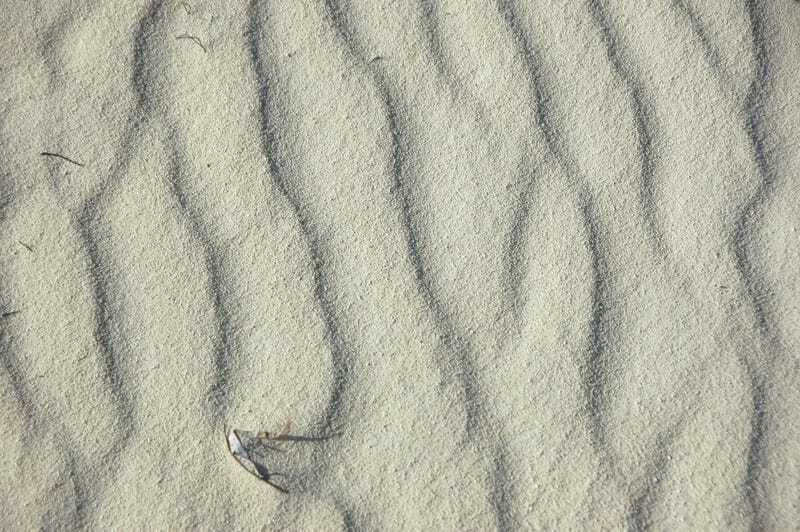 Our lead image, by James St. John, is of wind-rippled sand on a beach. Stylistically, I can't decide if I like the imperfections of the dead grass stalks, or if I'd prefer a cleaner shot. I'm leaning toward the former, as he's celebrated a texture while giving it just a hint of context. Send your best photo by Monday, January 26th at 10 AM Eastern to contests@gizmodo.com with "Texture" in the subject line. Save your files as JPGs, and use a FirstnameLastnameTexture.jpg (970px wide) and FirstnameLastnameTextureWallpaper.jpg (2560px wide) naming conventions.